I’m completing my October 2012 Birchbox review a tad late, but I am finally getting all caught up on everything that has been neglected with my NYC move. 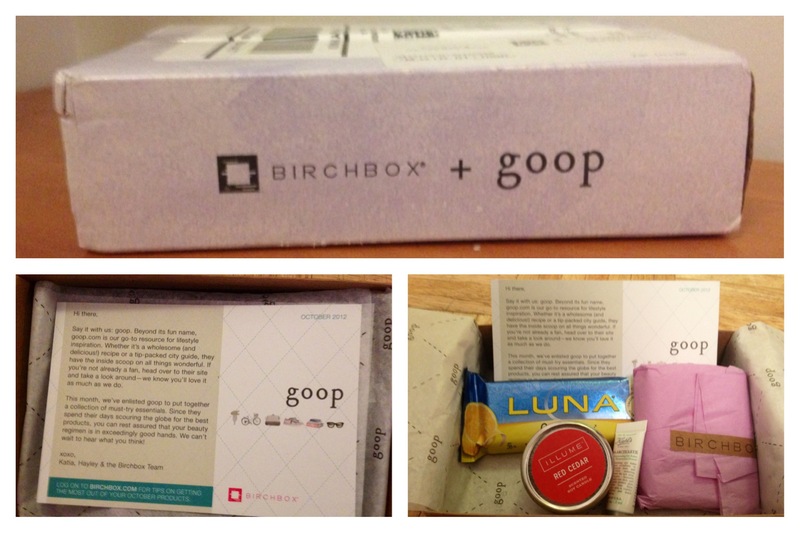 This month Birchbox gave subscribers an option to get either the regular Birchbox box or a goop.com partnership box. I had no idea what Goop was, but I opted in anyway. Birchbox says: Made with soy, beeswax, and essential oils, this candle features a warm scent that comes courtesy of red cedar and vetiver. 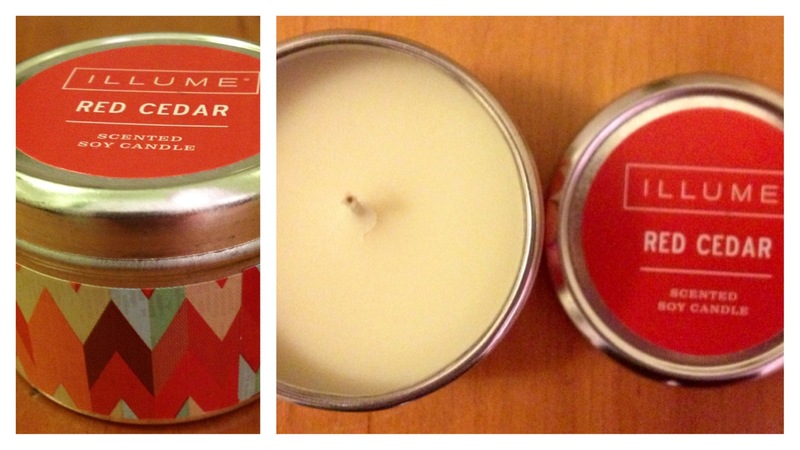 My thoughts: It was an interesting surprise to get a candle in my Birchbox. At first I thought that maybe it was one of those candles that melted down and then you used as a weird skin purification mask, but that wasn’t its purpose. It was a typical candle. It smelled real nice and gave my apartment that cozy, Autumn-feel…however, I was still kind of disappointed that it took place of a make up or skin care sample. 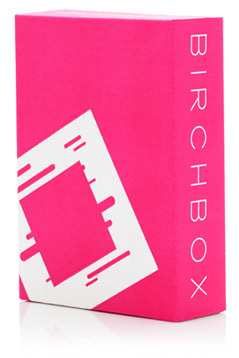 Birchbox says: This best-seller gives you the moisturizing punch of a balm with the satiny finish of a gloss. We’re hooked and we know you will be, too! My thoughts: I hate that I feel like I’m one of the only people on the planet who isn’t in love with Jouer products. While I don’t find anything distinctly negative about them, I know I have used comparable products for much lower a price. The Nivea lip moisturizers remind me a lot of this lip enhancer, but for only 1/3 of the price. Birchbox says: Conquer dark circles with this brightening eye balm, which is made with collagen-boosting flower extracts. My thoughts: This was certainly the product I was the most excited about when I saw it in my Birchbox! I love trying out Kiehl’s products and I love trying out new eye creams, too…especially ones that target dark circles (aka, my mortal enemy). I really enjoyed this eye cream and thought it did a great job. If I didn’t just purchase the Origins gin-zing eye cream from the Birchbox shop, I would have certainly tried this out instead. Birchbox says: Wear this award-winning brand’s silky SPF 30 serum under your makeup for a weightless UV shield. My thoughts: When I opted in to this month’s Goop box, I didn’t have much of an idea what Goop even was. However, being the adventurous individual I am, I thought I would try it out anyway! 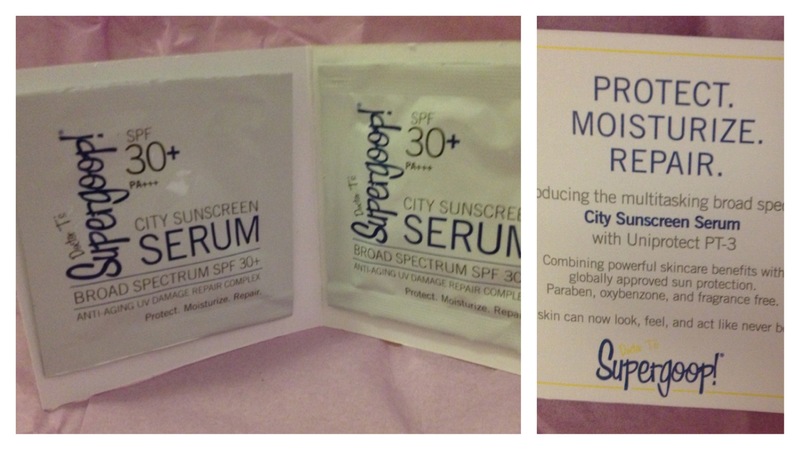 This sunscreen wasn’t anything to write home about, especially since the sample consisted of two teeny packets of the serum. It’s too hard to tell a product’s efficacy from that small of a sample size. Plus, while I understand that sunscreen is something that should be worn year-round, and regardless of whether the sun is even shining or not, I still felt as if this was a product that would have been more seasonably appropriate for a summer month Birchbox. Birchbox says: These zesty snacks are a goop fave. They’re perfect to keep you full in between meals (plus they can double as a healthy dessert!). My thoughts: Oh, Birchbox and your snacks. I wasn’t terribly disappointed about finding a Lunabar in my Birchbox. It was a full size bar, which is atypical for Birchbox sample snacks. I am not too crazy about lemon flavored foods, but I love the convenience of snack bars, especially when I need breakfast on-the-go.